On Scouting Sunday we honor scouts and offer a blessing over them. We will also acknowledge the dedicated adult volunteers who serve as troop leaders, assistant leaders, and those in other areas of leadership. ​Typically, Scout Sunday is the Sunday before BSA’s anniversary which is February 8th. This date is flexible to accommodate the congregation’s needs. For example, the United Methodist Church always celebrates Scout Sunday on the second Sunday in February to avoid conflict with their commemoration of Transfiguration Sunday. An individual church also has the option of celebrating on a different Sunday. We congratulate all the children, youth and volunteers who are active in scouting throughout Scottsdale. Scouts and leaders are encouraged to wear their uniforms. We will have a special prayer and a Scout Sunday patch for each scout. 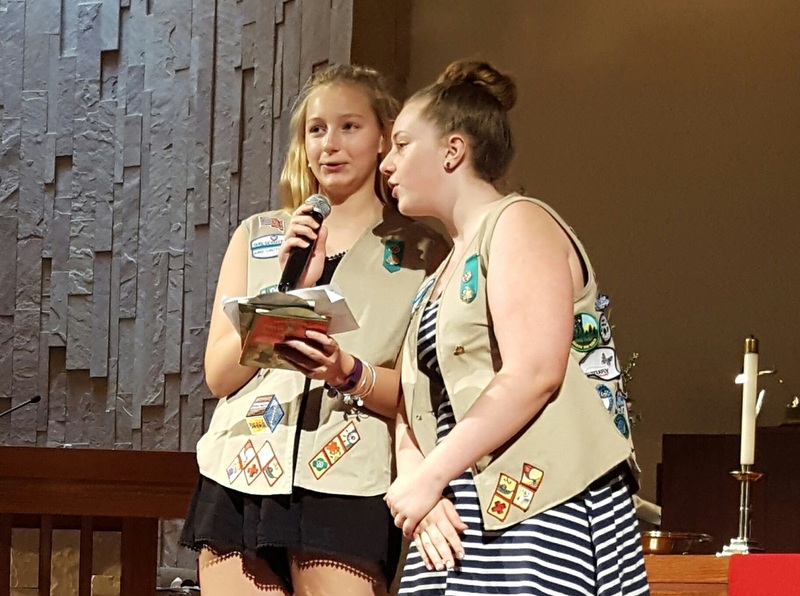 97The scouting programs at North Scottsdale United Methodist Church are more than activities for our youth so that they can learn about the outdoors. 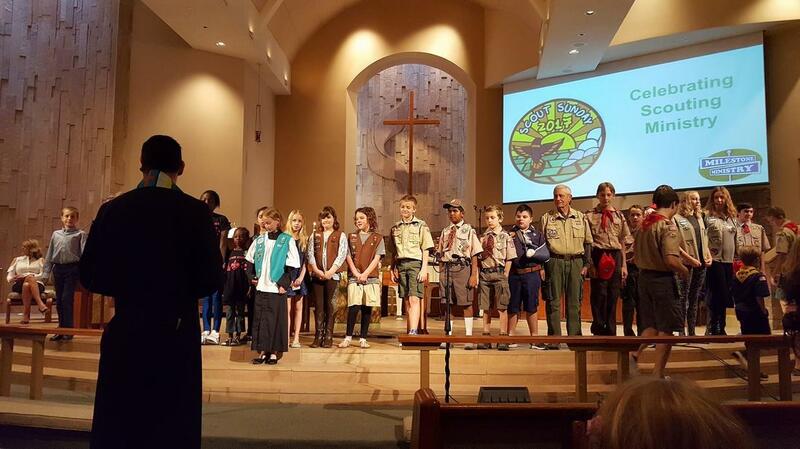 Scouting provides fun, fellowship and training to the youth in our church as well as youth from our community. It emphasizes honesty, self-reliance and respect. Through its year-round program, it enhances character, citizenship and personal fitness. 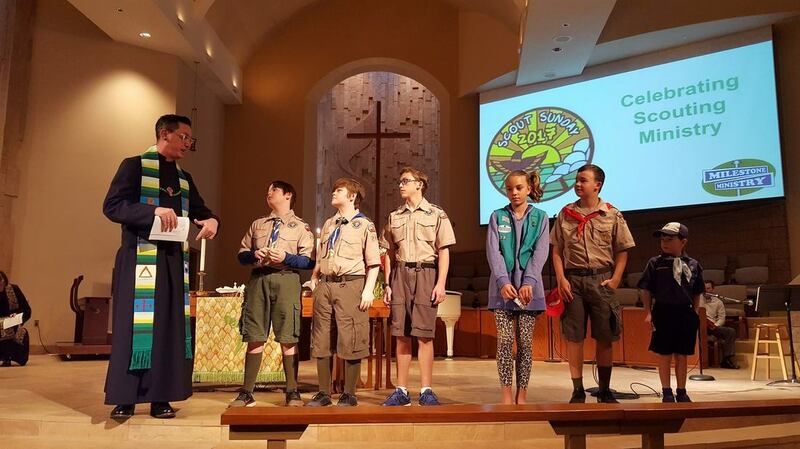 We are proud to host Boy Scout Troop #109 at North Scottsdale UMC. They are a fabulous group of young men who are learning lifelong skills. This troop meets monthly. 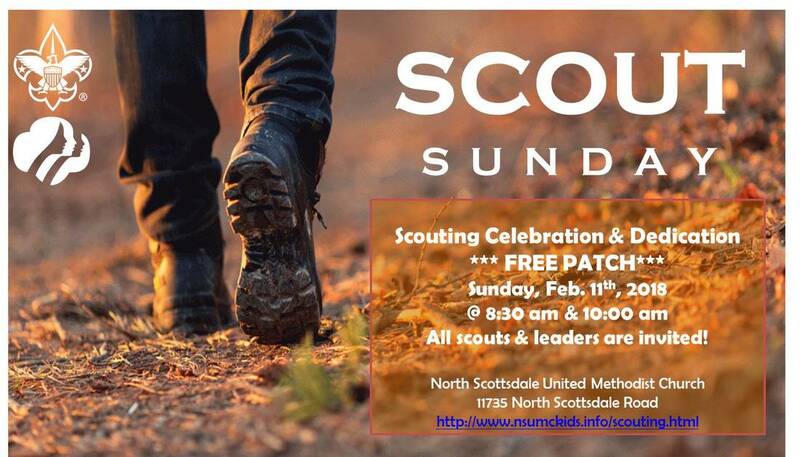 Call our church office for the scoutmaster's contact information, ​480-948-0529. In the spring, Troop #109 offers a wonderful OPEN HOUSE. This is a great event for graduating Webelos, 5th grade boys and their families. At this boy-led event, the scouts of 109 will have games, fire starting, cooking and other great scouty activities ready to go. The adult leaders will also have a breakout session to tell you everything you need to know about 109 and Boy Scouts in general. 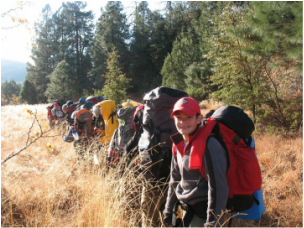 If you'd like to camp and explore the great outdoors with your son, come visit them and learn why they've been a premier Troop for over 35 years. Our 2016 VBS mission project allowed our Girl Scout Troop #297 to support their Silver Award and many young families at the “Save the Family Shelter.”. These ladies read and recorded the donated books onto CD's to create a library for the shelter. 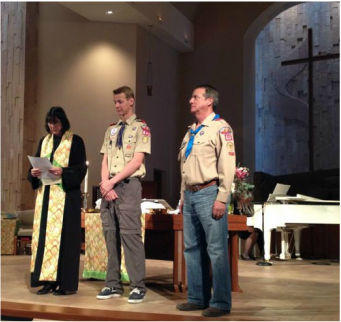 North Scottsdale United Methodist Church has hosted Eagle Scout ceremonies and blessings of thanksgiving during our worship services for Eagle Scout recipients and their service projects.